BRYAN EATON/Staff photo. 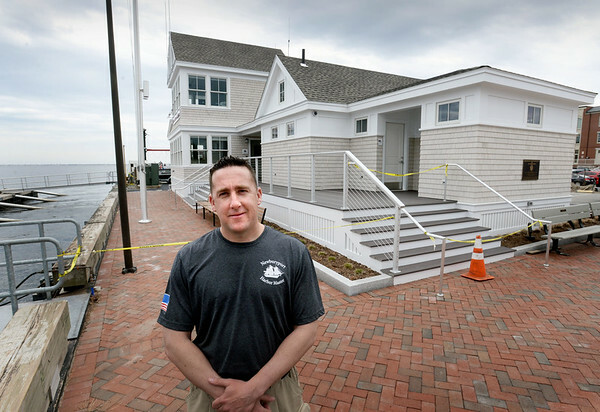 Newburyport harbormaster Paul Hogg outside his department's new headquarters the offices of which open next Tuesday. The public restrooms and facilities for boaters will open later with a ribbon-cutting planned for May 11.